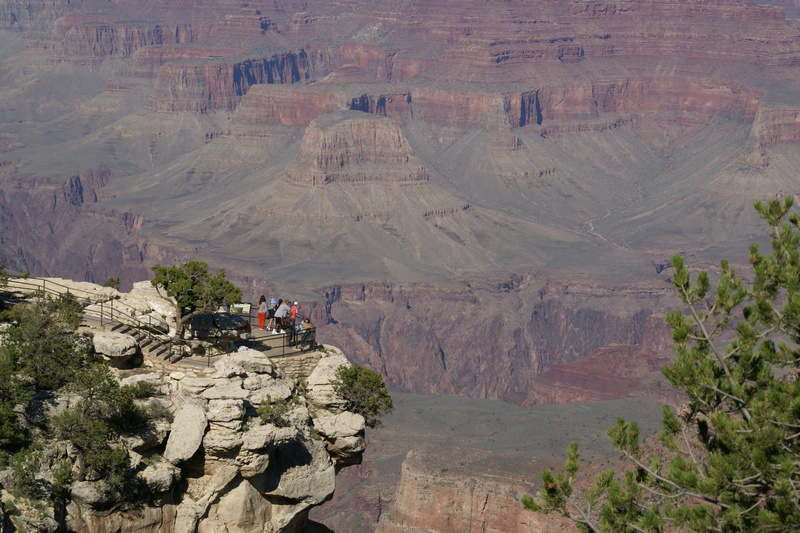 For a non-strenuous hike along the inner canyon coupled with unrestricted views of the spectacular gorge, try Rim Trail inside Grand Canyon National Park. The park, a World Heritage Site, has made hikes along this trail easier thanks to the well-managed, paved terrain. You can appreciate the remarkable views of the 1.6 km (1 mi) deep canyon cut by the Colorado River from any of the viewpoints along the trail. The full trail is 21 km (13 mi) trail, but if you get tired beforehand, there are shuttles that run from various points along the trail throughout the day. For a memorable end-of-day view, head to Hopi Point to watch the sunset. The park urges you to carry water at all times, and remember to wear good walking shoes. It couldn't be easier to arrange your visit to Rim Trail and many more Grand Canyon National Park attractions: make an itinerary online using Inspirock's Grand Canyon National Park vacation planner .